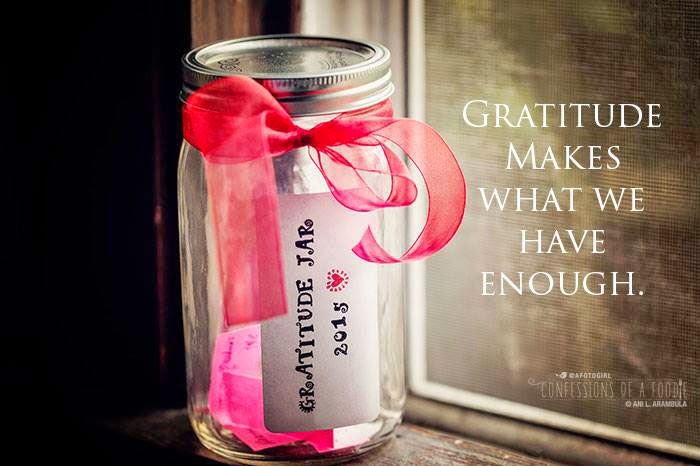 Keeping a gratitude jar on the table with slips of paper waiting to be filled out daily is a wonderful family exercise in mindful thankfulness. Happy Sunday! 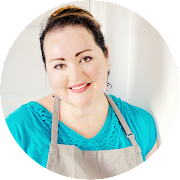 I’m excited to be launching Sunday Coffee, a new occasional series, that will be my chance to share with you some things I’m doing, making, learning, listening to, watching and reading. Sunday’s are my day to enjoy a nice hot latte, catch up with my blog reading, scribble down recipe ideas, and just be creative either in the kitchen, creating images, designing at my desk or processing photos on the computer. So I thought I’d start Sunday Coffee as a way to share with you things that have caught my attention in one way or another. Sometimes it will be food related, sometimes it with by arts and crafts, sometimes it might be sharing some of the things and people that inspire me. And some days, like today’s post, it will be about everyday living. I’ve spoken to the power of gratitude many times before and the importance of being mindful of the blessings in our lives. It’s so easy to get caught up in our daily routines working towards what we need and think we need that we forget to slow down and appreciate what we already have. I’ve always wanted to keep a gratitude journal but life can get so busy that I’ll start one and before I know it, days and weeks have gone by with no entries. Mostly because the thought of “journaling” seems like a big commitment and I’m already committed to my day job, my family, Starbuck and this blog pretty much takes up the most of my spare time. 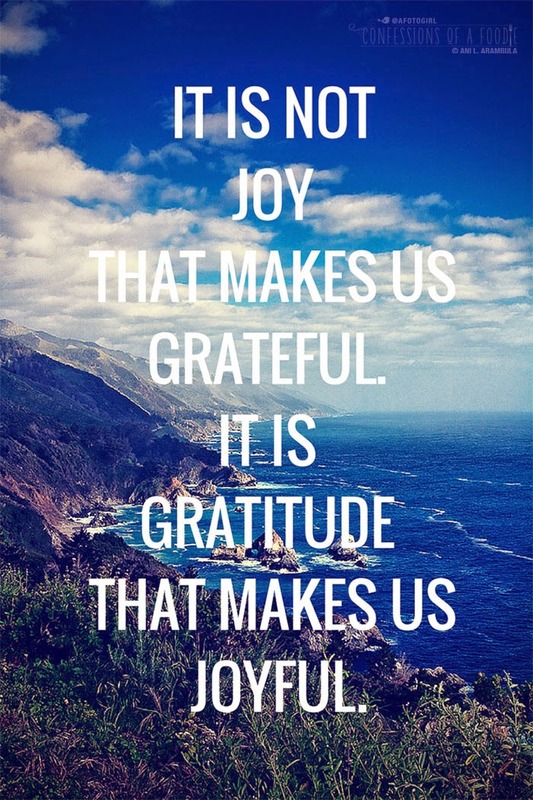 So when my friend Stephanie shared a post she wrote as part of the Huffington Post Healthy Living Blog about her gratitude jar, I knew I’d found the exercise in mindful thankfulness that I was looking for. I started mine this weekend. Everyday I’m going to attempt to stop, reflect and jot down at least one thing that happened in my day that I’m thankful for on a tiny slip of paper – no book filled with blank pages to intimidate me out of writing. Then, at the end of the year, I can open my jar, read my little slips of paper and reflect on all the blessings that God gave me in 2015. I'm excited about this project because in the end, it really is the little things that count. So how about it? 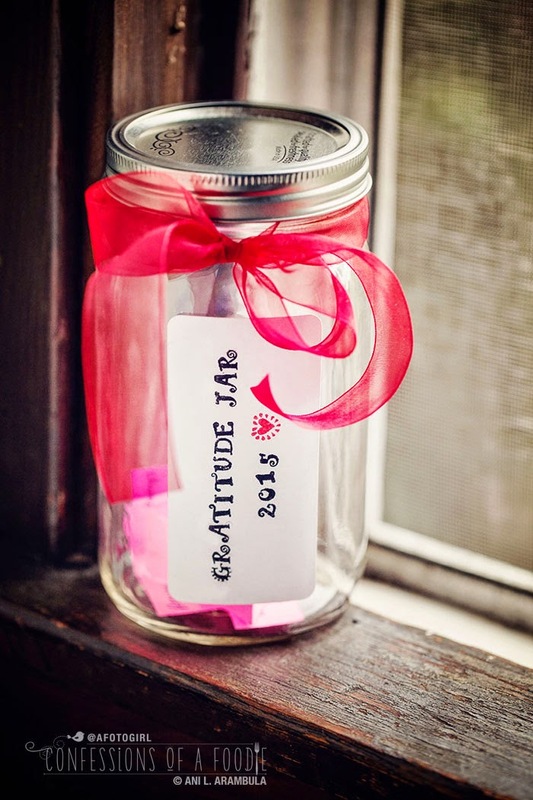 Are you ready to start your own Gratitude Jar? Grab a jar, vase, bowl or pretty box and place it somewhere you'll see every day. Cut up a whole bunch of 1-inch x 4-inch strips of paper and place them in a cup or small glass near your Gratitude Jar along with a pen or pencil. If you can, nightly jot down something good that happened in your day. On New Year's Day, open your jar and count your blessings. If the entire family is adding to the jar, you might want to open and read them as a family on Thanksgiving.